Richard Church was born in Battersea in 1893, but spent most of his life in Kent, where he died in 1972. 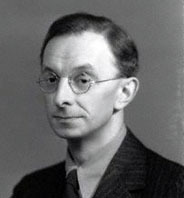 He wanted to be a writer, but was persuaded by his father to take a civil service job – and he worked for the Ministry of Labour until 1933, the year he appears as a judge, at which point he became a full-time reviewer, and a little later, the editor of the ILP’s newspaper. He was a prolific writer – by 1933 he had produced ten collections of poetry, and three novels, and was to produce eight more poetry collections and thirteen more novels, three memoirs, and twenty-one other titles, many of them collections of essays. A traditionalist, his poems were precisely those that appealed to the WR readership. To be afraid of mud. From earth, spirit, and blood. The meaning of the feast.